Saudi Prince Al-Waleed Bin Talal’s influence as FOX News’ second largest individual shareholder is getting worse. This morning, in FOX News’ ongoing coverage of the “popular” uprising by extremists in Egypt, the network’s anchors repeatedly referred to Egypt as “America’s closest ally in the Middle East.” Fred Taub of Boycott Watch called and told me about it. And others contacted me, as well. People noticed. Why did they notice? Well, because America’s closest ally in the Middle East is and always has been ISRAEL, NOT Egypt. Israel has always provided the best, most valuable intelligence to America. And Israel has always voted consistently with the U.S. in the United Nations more than ANY other nation on earth. In contrast, Egypt is slow to share information with the U.S., and it repeatedly votes against us in international bodies and forums, choosing to side with Communist, Third World, and other anti-American countries. By any measure available and/or imaginable, Israel is and has always been America’s best–and frankly, ONLY–friend in the Mid-East. So, why does FOX News utter this BS? Well, by design. On Israel and a number of other issues FOX News has repeatedly changed its nuance from center-right to consideration of the liberal point of view. And that goes especially on Islamic-related issues. As I noted, Prince Al-Waleed bragged that he phoned Rupert Murdoch and got him to change FOX News anchors’ reference to Muslim riots in France to “civilian riots.” That’s why I call FOX News Channel, PAWNN (the Prince Al-Waleed News Network) . . . as opposed to PAWN (that’s Prince Al-Waleed’s Newspaper a/k/a The Wall Street Journal). And I wouldn’t be surprised if he and his minions aren’t at work on this, too. This uprising, like the one in Tunisia, isn’t good for fellow well-heeled Sunni aristocrats, like the Prince, in Saudi Arabia. They can’t afford such an uprising there. And frankly we can’t afford these uprisings either, as they will only replace semi-comfortable-with-America dictators with democratically elected extremist Muslim nutjobs who support Bin Laden and the Muslim Brotherhood. That’s the “democracy” for Arabs that the Bush Administration pushed and which resulted in HAMASastan and ultimately Hezbollahstan. And now Obama is massaging this crap, too. Moreover, referring to Egypt as America’s “closest ally in the Middle East” won’t change that. It’s asinine. And it’s a lie. Again, ISRAEL is America’s closest–AND ONLY–ally in the Middle East. Bar none. 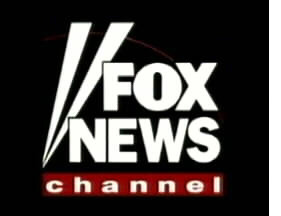 New FOX News slogans: “Fair” and halal. We sharia, you decide. All morning today I have been listening to FOX News repeatedly say that Egypt is America’s closest friend in the Middle East. Unfortunately that now appears to be true. Israel has once again been belittled and disrespected by both the FOX News network and our State Department. . . . The U.S. government is in high level discussions with the Muslim Brotherhood because our government feels the Brotherhood should be considered a powerful and viable political partner in the region. Our U.S. Government is playing both sides. They support the dictatorship in Egypt, and they support the probably future controlling Islamist party which is instigating the riots in Egypt. May G-d protect Israel from both “our closest friends in the Middle East”, and from America. AMEN, Mark. Right on, brother. Anyone taking bets on how soon a radical Islamist takes over Egypt because Hillary follows Obama’s orders and demands that Mubarak do something stupid (like when Carter told the Shah to leave Iran)? I also think it is telling that the Mohamed El Baradei has joined forces with the Muslim Brotherhood in Egypt against Mubarek. If anyone wants to know who the Muslim Brotherhood is, think Hamas in the Middle East and CAIR in the US (and I am barely scratching the surface). Does anyone still believe that the IAEA under El Baradei was doing anything other than enabling Iran’s nuclear program? We are greatly concerned on the direction islamo-panderer;s are taking in this country. As you say Debbie this can precipitate a change like the one in iran. I can only see Israel’s neighbors becoming more hostile in the future. 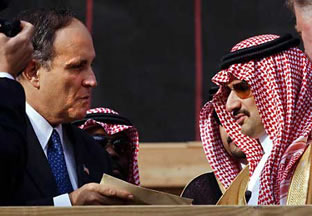 I doubt that Egypt was even an ally during Anwar Sadat, much less Mubarak. But I hope the Ikhwan does capture power in Cairo, since unlike Mubarak, they’d be stupid enough to start a war w/ Israel, and this time hopefully, Israel can reconquer the Sinai, expel all Egyptians from there, and re-settle it like they did after 1967. In fact, annex it like was done w/ the Golan Heights. Having witnessed the fall of the Shah, there is a feeling of “deja vu all over again”, only worse. Not a single one of those now tottering autocracies is likely to move toward a real democracy. The institutions are just not there, and the culture bequeathed by Islam mitigates against it. But as “our SOBs” fall, the only real ally (Israel) is undermined by … the US. Egypt was never much of an ally – it was more an arrangement of mutual interests. Egypt wanted to part ways with the Soviets, while getting a few billion in advanced weaponry annually from the US. The US wanted Egypt not to start another war with Israel. And that’s pretty much it. By contrast, there’s extensive strategic and intelligence cooperation with Israel. The US gets access to Israeli technology, arms staging, an X-band radar installation, a security partner who with real world experience, and a whole lot more. And what of that other “close US ally” – Saudi Arabia? Well, they help fund the US deficit, and occasionally open the oil taps to help stabilize prices. Other than that, they tell us to get stuffed. In return, we make it easy for their fundamentalists set down roots here. Can we count on them to use all that advanced US weaponry to help deal with Iran? No, they want *us* to deal with them while they maintain plausible deniability. First Tunisia, today Egypt but also protests in Jordan trying to topple the Prime Minister, “popular” uprising my @ss! This is exactly what the left media said when King Hussein was overthrown. Stories in both those countries today said protestors came flowing out of the mosques to battle police. These protestors don’t want democracy, they want their own brand of fascism -Islam and you’re right it is no coincisence it now breaks out in Obama’s last 2 years(like it did with Carter) AND BEFORE a new US President could do anything to stop them. This is the biggest danger to the free world since Adolf Hitler and is again happening before our eyes. Hitler wasn’t stuck in the 7th century. He took direct action against his enemies not chicken$hit suicide bombers. He didn’t control the lionshare of the world’s oil. History conveniently forgets and lo and behold repeats. In the eyes of most Americans,the Muslim world is a veritable sea of anti-Americanism,anti-semitism,anti-Christian hatred. Most Americans are pro-Israeli and are really confused about the current situation. Sadly,the Muslim world doesn’t really see the need to change that ugly image that they themselves have given to the world. Schlussel, your absolutely correct. Israel is our only ally in the middle east, NOT Egypt! The only people in this country who thinks that we shouldn’t be friends with Israel are American Left-Wingers, and Left-Wing Jewish-Americans. I can guarantee you that the leftist will agree with Fox News by them claiming that Egypt is our ally, in which the opposite is true. Our “leaders” seem to go out their way to not recognize our true allies, and pander to those that want our collapse or failure. First Obama saying to the Chinese Minister, Hu, that France is our greatest ally, much to the justified anger of the British who have been with us through thick and thin, even if they disagreed with what we were doing. Obama sends the Winston Churchill bust back, even though that exchange between Britain and the United States has been a tradition for several years. Now this, saying E-gypt, is our ally in the Middle East when they have spawned some of the worst denominations of Islam. Indeed Fox is also a wolf in sheeps clothing. The fact Bush and Fox were best friends of Israel is a lie. By the way, nothing what really scares me to bits. 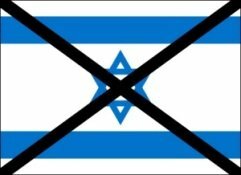 NO conservative blog is saying boo or too much anyway about Rand Paul’s proclamation that Israel should not receive aid. What you do hear from our so-called friends is that Wolf Blitzer made him say that when he was commenting that foreign aid should cease. Our good friends fail to talk about how daddy Paul has no love loss for Israel and that the word John Bircher is written all over it. For those of you too young to remember the John Birch society was bad news for Jews in America. The fact NO conservatives have condemned Paul for his statement proves we Jews have no friends. Matter of fact, the conservative blogs who always condemn leftist Jews for being blind sheep, did not even report the Paul incident on their blogs. HAUGHTY SOBS the mirror image of those they profess to hate. I forgot, Bush called Egypt his “greatest friend and ally in the war on terror.” What everyone forgets is Mubarak allowed tens of thousands of weapons tunnels dug from his soil to gaza to reap death and havoc against innocent Israelis. Knowing this, not once did President Bush take Mubarak on for this rather he continued to lavish praise upon him. The Arabs don’t want democracy and Western style freedoms. That’s a feature noticeably absent from the demonstrations in Tunisia and Egypt. What they really want is a kinder and gentler dictator who caters to their extremist sentiments – driven by Islam. Its just like Iran. There are no mass liberal democratic movements in the Arab World and the few that exist are as anti-Israel and anti-American as the Islamic nutjobs that predominate there. People need to wake the heck up! Jerry Doyle (by far NOT my favourite talk-show host…but he was one of the VERY few calling out that thief “Shifty” Paulson…and he has been VERY good on the US Economy) had a delicious rant against Fraud News a few days ago. He called them out good! I am so done with Fraud News and I have THIS blog to thank. Oh yeah, some peeps are too quick to dismiss DS (they don’t understand SUBSTANCE) but she lets us know a lot of stuff so-called Conservatives sit on. I never knew about Prince Al-Waleed bin Talal ’til this site. I am so done with Fraud News. The sad part is if you try to tell others about it, they think that you’re a Liberal. Meanwhile, they don’t bother to look for the substance. They are just as bad as the Liberals. I too had a friend I’ve known for 30 years,get upset with me because I questioned the integrity of FAUX news. I will watch any network, including Al Jazeera (English) that is covering the news I want to follow. FOX, and MSNBC did a very poor job giving us live feeds this morning I watched a live feed via the internet from Al Jazeera. CNN had the most live feeds from Egypt and generally does better than the others when it comes to worldwide breaking news. When an event like this happens, I want to see live feeds focusing on the ongoing events. The commentary is more “white noise” than information for me. maybe like me you’re old enough to remember the granddaddy and godfather of the internet, HAM and Shortwave. I listened to shortwave broadcasts from around the world just for their ‘perspective’ and than tried to make sense of all the “white noise”. Moscow came in clearer than some of the local FM stations, BTW. And their announcers spoke almost perfect ‘American’ english. Allen West for President in 2012. This man is a true American patriot. Go to YouTube and type in Allen West Israel and you will see a newly elected congressman who knows who our Allies are and who our enemies are. Unfortunately, it isn’t just the propagandists at Fox News that are trying to perpetuate the fallacy that Egypt is America’s closest middle east ally. Tonight I heard on both NBC’s & ABC’s newscast the same idiodic statement be made. All of the major news reporting organizations need to look into the definition of the term ally. These days, organizations that try to pass themselves off as purveyors of news & information are by any objective analysis far more practitioners of advocacy & propsgands. Fox news is certainly not the only group that perpetuates this hypocracy. It’s just more obvious about it. My New Years resolution was to stop watching POX News. I’m very happy to report that, so far, I have not broken with my resolution even once. I should have realized, after their dishonorable discharge of E.D. Hill, that POX News is just what Debbie, Savage, and others with brains have been saying for years. Their performance during the lame-duck session, which was nearly as bad as that of the Republican performance, was the straw that finally broke the camel’s back (oops, I should use some animal other than camel so that internet censors won’t say I’m being insensitive to arabs/muzzies). I am sorry that Israel has continued to expand settlements and brutalize the Palestinians. The US needs to make clear that this is unacceptable. Unquestioning acceptance of Israeli brutality must end. It has brought terror to our shores. The United States would never do what Israel is doing. It is time we stopped aiding and abetting them in this. Go out to Wyoming. Check out Custer’s last stand. Or the Trail of Tears in the South. Israel is fighting for survival against maniacs. Rand Paul, like his dad, is a fool. Incidentally, in the places where Palestinians do not murder (as much), the economics are staring to improve dramatically. The more I hear about Tunisia and Egypt, the more I cringe. The Islamic states of North Africa are pretty well cut from the same cloth as they were part of the Great Caliphate in the Middle Ages. The result: a Shi’ite secular Islamic regime in Iraq; an impotent kleptocracy in Afghanistan; and still no bin Laden’s head on a platter. My prediction: same kleptocratic fascism, different packaging, worse worries in Israel. And to Debbie, I’ll say this: given the many times other countries that claim to be “allies” have let America down by compromising with the enemy, one may be tempted to say that Israel is America’s only ally. Period. Semper nostra solum. Always on our own, alone. Caroline Glick has a good article of the reality on the ground in Egypt and what it means for the so-called “peace process”. I think there are no ‘good’ sides in this Egyptian situation. Best thing is to circle the wagons, load up and prepare for the worst. Of course the US govt will just say things are “unacceptable”. Only good news coming from the region is Sudan – South Sudan is on the verge of breaking away and becoming an independent non-Muslim country. Good for it. Hopefully, their oil should help them get a jump start (don’t join OPEC) and after that,they can aspire to be a self sufficient country. I do worry about Ethiopia, though. We should encourage both sides of the civil wars in the Arab countries to slaughter each other, until there are no more Arabs left alive. May theu kill each other for the next 100 years, and leave the Jews alone. The following information has not been confirmed. Nonetheless, there is a great deal of concern building in Israel and the United States in particular over the role of the MB (Muslim Brotherhood)in the demonstrations and whether a political opening will be made for the Islamist organization in Egypt. Security forces in plainclothes are engaged in destroying public property in order to give the impression that many protesters represent a public menace. The MB is meanwhile forming people’s committees to protect public property and also to coordinate demonstrators’ activities, including supplying them with food, beverages and first aid. As an Israeli a am proud to have such American friends and supporters. I also want to mention that during Independence day in Israel,you can see some people show American flag too. I sick to my stomach to know that US tax money is going to countries that hate American democracy, culture and freedom, for me US is a light of democracy and freedom. I wish Obama would take a stand and stop being super polite when some Middle Eastern dictators are in problem. With “friends” like that, who needs enemies? NBC’s Andrea Mitchell, who’s Jewish, twice, last evening on the NBC Nightly News, stated that Egypt was America’s closest ally in the middle east. Fox and NBC should have clarified that Egypt is/was America’s closest ally in the Arab world. I never expect anything better from NBC or its sister entity, MSNBC, but I am surprised at the Fox News Channel. Just as I’m surprised how strongly radio’s third most popular talk show host, Mark Levin, pushed the candidacy of Rand Paul. Levin knew full well of Rand’s isolationist/anti-Israel tendencies, but he pushed very hard for him anyway. Go figure? A generation of ignorant imbeciles has elected Carter-point-two with the same if, not worse, foreign policy missteps. It looks history is repeating, but this time the stupidity of this presidents administration is the fuel for a total collapse of western civilization around the Mediterranean. Me thinks, though, that Obama and his cabal are at least having some warm and fuzzy feelings on the inside, pondering how he can use this to his political advantage. I heard that comment made as well, and I thought it was a mispeak. Israel will always be America and Canada’s greatest ally in the Middle East. We are honest and open to each other and have always been. We share a common heritage and, to a point, language. God bless Israel and may there be peace in Israel’s capital city. 2004,intelligence reports found ElBaradei coaching Iranians;US stopped unprecedented 3rd term as IAEA secretary-general. http://t.co/ExQaIGC now he may be Egypt’s trojan horse?? So Debbie….what is your prediction with Egypt? Does Hosni flee? Does he barely hang on? Please, Fox News, at least get your maps correct. This is just unforgiveable…an undeniable sign of their astounding ignorance and prejudice regarding foreign affairs. Hah. Yes, always. That’s probably why America went quasi at war against Israel in 1956, supporting Egypt instead. Thank you for educated us all on this important FACT!